New appointment reflects the company´s full commitment to the ambitious vision for a circular economy. Tomra Sorting Recycling has promoted Business Development Engineer László Székely to the newly-created post of Head of New Plastics Economy. This initiative reinforces the manufacturer´s commitment to the aims of the New Plastics Economy (NPE) and will steer progress towards objectives which are differentiated from the company’s other business development activities. The New Plastics Economy team will work to encourage the sorting and recycling of post-consumer plastics such as Polyolefins and Styrenes, to change the widespread practice of burning such materials or sending them to landfill. 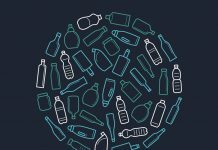 Tomra is also committed to working with packaging producers to help make packaging more widely recyclable; to reduce the reliance of packaging production on raw materials; and to contribute to the drive for upgrading post-consumer plastics, so that there is greater use of recycled rather than virgin materials. 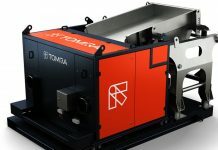 László Székely joined Tomra brand Titech (rebranded later as Tomra Sorting Recycling) in 2012 after completing studies in waste management and contaminated site treatment at the Technische Universität Dresden/Germany. Serving as a Business Development Engineer, László was Tomra’s segment-champion for applications capable of sorting glass from different waste streams, with joint responsibility for development of the Autosort Laser glass-sorting unit. He was also closely involved in the planning and construction of the first two automatic MSW (municipal solid waste) sorting plants in Hungary, and assisted two big brands with upgrading for post-consumer plastics (Polypropylene). Since 2017 László has been involved in projects focusing on post-consumer polyolefin packaging, PET trays and working with packaging and converter businesses. László Székely said: “I am delighted that my dedication and expertise have been recognized in this way because progress towards the New Plastic Economy is so important. I was really excited when I joined Tomra, because I admired the company for being a technical pioneer and market leader, and seven years later I am still hugely excited by this company’s innovative spirit.” Tomra’s NPE work will also involve, at a senior level, Jürgen Priesters, Vice President, Head of Business Development Recycling, and Business Development Engineer Charlotte Glassneck.